My thoughts on why Mojang is doing the right thing by enforcing their EULA. Will servers survive the enforcement of Mojang's EULA? In recent days, Mojang has begun to take steps to enforce their End User License Agreement (EULA), specifically in regards to server monetization. Code was discovered in the pre-release for Minecraft 1.9.3 that directly blocks offending servers, and reports to the player that there has been a network error. While this feature was not released in Minecraft 1.9.3, it now appears that similar code with the same effect will go live on all Minecraft versions above and including Minecraft 1.7, effectively blocking all of the offending servers. If you want to see the relevant documents for yourself, you here are links to the Minecraft EULA, Mojang Brand Guidelines, the 2014 Blog Post about Server Monetisation and the subsequent follow up q&a. Players and Server Owners have protested this action, claiming that Mojang is making a big mistake in enforcing their EULA, and that this will result in the death of Minecraft as we know it. While this sentiment can convincing, there are a number of reasons why Mojang hasn’t made a big mistake. In this article, I have outlined a few of them. Mojang itself is a company, and has a reputation, brand and image to uphold and protect. When parents are contacting Mojang’s support department asking why their children have racked up hundreds of dollars in credit card charges for ‘minecraft’, it’s not a great look for the company as a whole. In fact, I would argue that servers charging upwards of $100 for perks on servers isn’t really a good look in general, although that’s a personal opinion more than anything else. Minecraft isn’t Mojang’s only game, and it’s likely that at some point in the future, they’ll release something other than Scrolls. At that point, having a reputation beyond expensive server perks is likely to be a good thing for Mojang. Mojang has an extensive guide as to what you currently can and can’t do with their brand, and enforcing the EULA by blocking servers that negatively affect their brand is simply Mojang protecting their commercial interests. As well as protecting their brand, Mojang appears to be also trying to protect players from the numerous unfair gameplay advantages often provided by top-tier ranks & perks. This is part of a wider issue experienced in lots of games: is “Pay 2 Win” an acceptable business model or not? It’s certainly one that brings in money a lot better than cosmetics. Yet Pay2Win often results in unfair gameplay, and a much less enjoyable experience. If you’ve ever tried to fight someone who paid for fully enchanted gear, unlimited potions and the ability to fly, you’ll know that it’s really not fun. A lot of Minecraft’s playerbase is made up of young children, who are more likely to be sucked into paying for big perks, or disappointed when they’re unable to get them. Mojang’s enforcement of the EULA might result in a more happy playerbase, even if the players themselves don’t know it yet. The main issue highlighted by players and owners alike is that medium servers will likely have to shut down, as they will no longer be able to earn enough money via cosmetics to pay the bills. This is likely to be a real issue in the near future. The general definition of a “medium server” seems to be accepted by most in the community as between 100 & 2000 or so. Running a large server for hundreds of players isn’t cheap, especially when owners are paying for websites, buycraft, youtube coverage and the like as well as hosting. Moreover, for many server owners, running a Minecraft server is a business, and therefore the end goal is to make a profit at the end of the month. If servers can’t make easy money, they are potentially quite likely to close their doors. Accepting that medium servers might die, the question now becomes – is that really a bad thing. 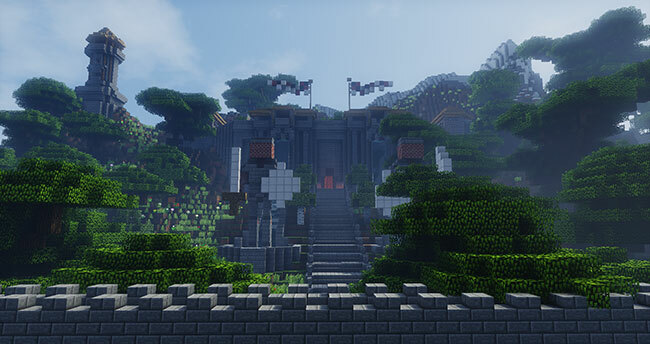 Currently, there are a lot of Minecraft servers open to the public. Between the influx of cheap Minecraft hosting and the rapidly growing popularity of the game, lots of people jumped on the bandwagon and set up servers. At one point, even Gearcraft had a server (technically we still do, it’s just currently empty and whitelisted). Servers were seen as a way to make a quick buck — set up a few plugins, figure out how YAML based permissions worked and charge for ranks. The younger audience of the game also helped making money become easier, as kids are generally easier to sell to, and can nag their parents for credit card details. At this point, there are thousands of servers trying to attract players and their wallets. For reference, minecraftservers.org currently has 39232 servers listed at the time of writing, and that number continues to grow. Ultimately, if servers are unable to adapt or cope without pay 2 win ranks, then their closure isn’t going to affect the Minecraft community to the degree stated by server owners. Players will be able to pick from any of the hundreds of other servers that did comply with the EULA. Previous post Minecraft.net Receives Long-Awaited Redesign!